I, _______________________ (motto), being of sound mind and body, and prepared, on this ____ day of _____________ [Anno ____ Sol in _______ ° of _______] do hereby resolve: in the Presence of _________________________, an Adeptus of the A∴A∴: To prosecute the Great Work: which is, to attain to the knowledge and conversation of the Holy Guardian Angel. May the A∴A∴ crown the work, lend me of Its wisdom in the work, enable me to understand the work! 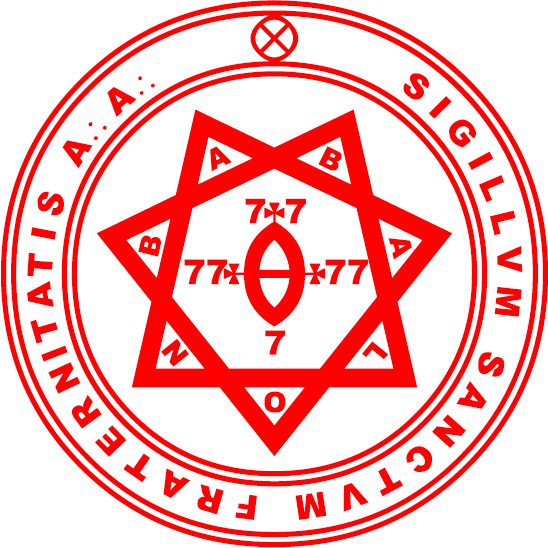 Reverence, duty, sympathy do I bring to the A∴A∴, and here and now may I be admitted to the knowledge and conversation of the A∴A∴! Let the Adeptus Minor attain to the Knowledge and Conversation of his Holy Guardian Angel. A secret ritual, the Heart of IAO-OAI, delivered into V.V.V.V.V. for his use in a certain matter of Liber Legis, and written down under the figure LXVI. A Ritual of the Law.LIBER XLI. THIEN TAO. An Essay on Attainment by the Way of Equilibrium.